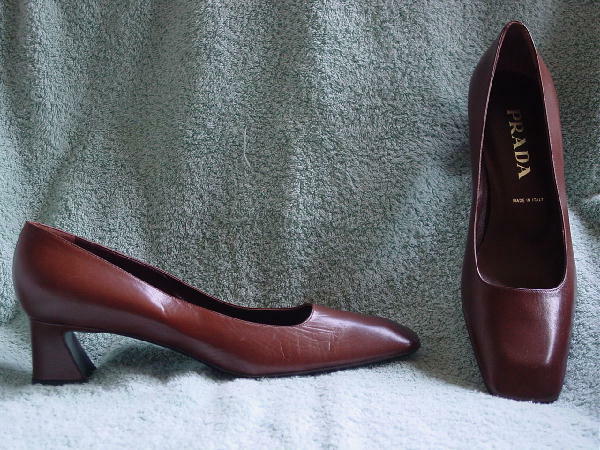 These never worn chocolate brown leather pumps are by Prada and were made in Italy. There are modified square toes. 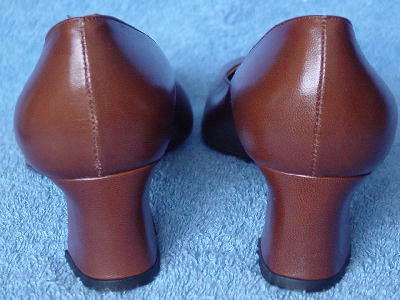 The side of the heel goes outward at an angle. This gives the basic pump some pizazz. They have brown leather linings. They're too big on her. Her boyfriend bought them as a present.